Who would you run one hundred miles for? Caleb Oberest is an ultramarathon runner, who severed all ties to his family to race brutal 100-mile marathons across mountains. Shane Oberest is a sales rep for a cutting-edge biotechnology firm, creating new cures for the diseases of our time. Shane has spent his life longing to connect with his older brother, but the distance between them was always too vast. Caleb's running group live by strict rules, but Caleb is breaking one of them. He has fallen in love with a new member and her infant daughter. When Caleb discovers that the baby has a fatal genetic disease, he reaches out to Shane. On the verge of becoming a father himself, Shane devises a plan that could save this baby and bring his lost brother home. But to succeed, both brothers will need to risk everything they have. And so each begins a dangerous race that will push them past their boundaries, and take all of Caleb's legendry endurance to survive. 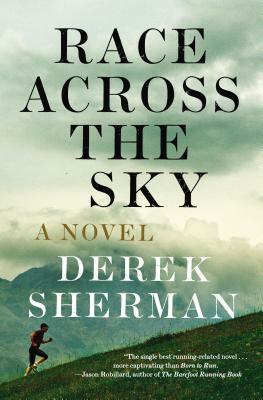 Derek Sherman's authentic, compelling story of ultramarathons, biotechnology, and family takes us deep into new worlds and examines how far we will go for the people we love. DEREK SHERMAN works in advertising as a writer and Creative Director. His work has received every major industry award, and been named among the best of the last twenty- five years by Archive Magazine. He is a cofounder of the Chicago Awesome Foundation, a charity dedicated to awarding microgrants. He lives in Chicago with his wife and children. This is his first novel. Visit his website at www.derek-sherman.com.